In this alternate universe or ‘Elseworlds’ version of the Justice League, the heroes you know are very different. Superman is General Zod’s son, Kirk Langstrom (normally the Man-Bat) injects himself with bat-venom in hopes to cure his cancer instead makes him a hybrid creature. Wonder Woman is married to New God, Orion, in the upcoming Justice League: Gods and Monsters. The Man of Steel rules with an iron fist and is much more violent than his traditional farm boy persona we’ve known. It’s an original story by legendary Batman: The Animated Series producer Bruce Timm who helped develop the animated feature with Alan Burnett and it’s directed by Sam Liu. Even though this is a more brutal Justice League, they’re being framed for the murders of prominent scientists like Ray Palmer, Victor Fries, and Silas Stone. This is all a part of Warner Bros. Animation’s collaboration with Machinima who’ll produce a three-part series based on the same original material. 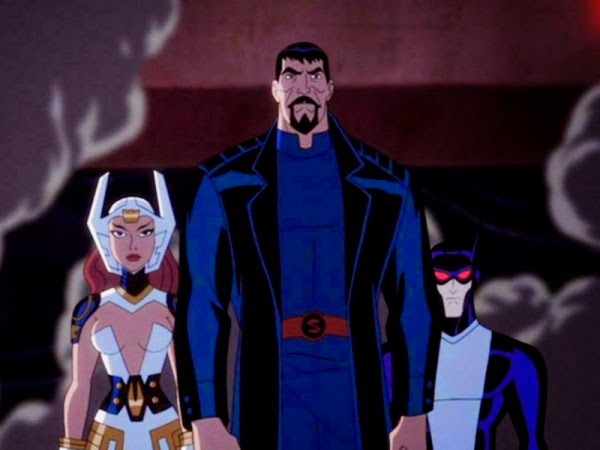 Justice League: Gods and Monsters Chronicles will premiere on Machinima in mid-2015 soon after the DVD release of the film.